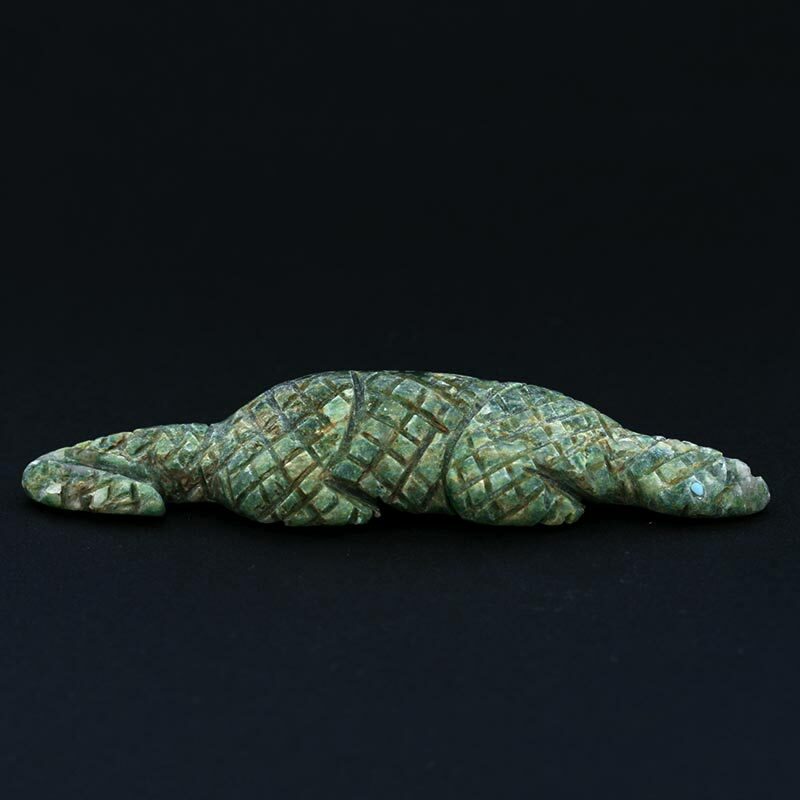 This lifelike serpentine lizard (Misho) fetish is carved from grass green serpentine by Eric Lasiloo. 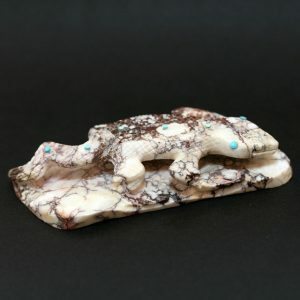 The lizard is a reminder of our collective journey as human beings, of progress but also of what we have lost. 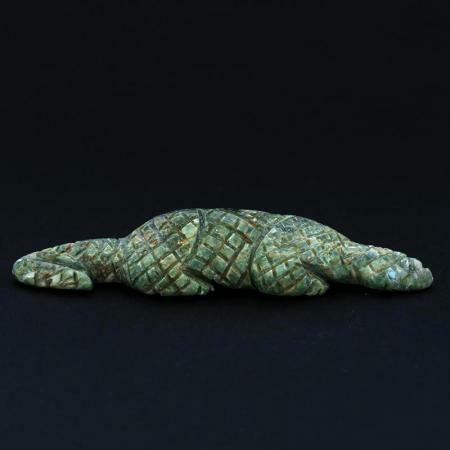 This Zuni serpentine lizard (Misho) fetish measures 7.5cm in length and 1.5cm in height.